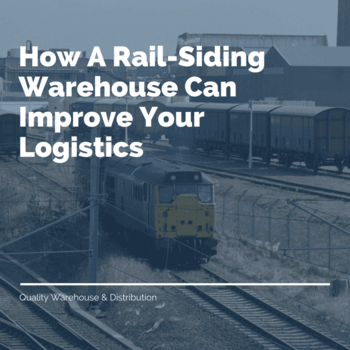 What is a rail-siding warehouse? In order to understand why a rail-siding warehouse is so logistically effective, it’s essential to know exactly what it is. A rail-siding warehouse is a warehouse that is located immediately next to railroad siding—a section of railroad track that branches from the main track. Trains that are using the main tracks of a rail line can branch off onto rail-siding tracks to make deliveries. A warehouse located on the rail-siding line is one that can quickly and easily receive deliveries and, if necessary, ship products. What are the logistical benefits of a rail-siding warehouse? Trains conveniently pull right up to the warehouse. Deliveries can be unloaded quickly, efficiently, and safely. Goods can be organized neatly and easily in the warehouse or shipped immediately to customers. This offers two great benefits. First, deliveries are never held up for holidays or weather-related problems. Second, workers know the time at which deliveries will be made. Workers never have to sit around waiting for a delivery. Business owners never have to pay workers overtime while they do nothing. Railroad delivery is not like truck delivery. Goods are placed in rail cars and they don’t leave them until they get to their final destination. There’s no unloading and reloading. This gives business owners the ultimate level of delivery assurance. Using a railroad car gives you more options because railroad cars are huge, usually at least three to four times larger than a delivery truck. Small, medium and large-sized orders can be made at any time. Businesses never have to pay extra or place two orders when they don’t need to. These five logistics benefits speed up shipping and delivery processes. Goods get from point A to B as quickly as possible. More money is made and saved. The best rail-siding warehouse companies are those that offer customization options. Rail-siding warehouses that are built to meet the unique needs of companies afford business owners the above-mentioned benefits. Experience is also very important. Only rail-siding warehouse companies with experience know what does and does not improve logistics. 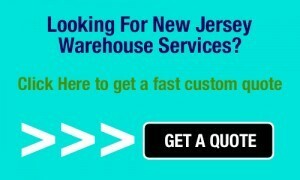 Quality Warehouse & Distribution Co. Inc. has more than 35 years of experience in the rail-siding warehouse business. If you would like any additional information or help, please feel free to contact us at any time.